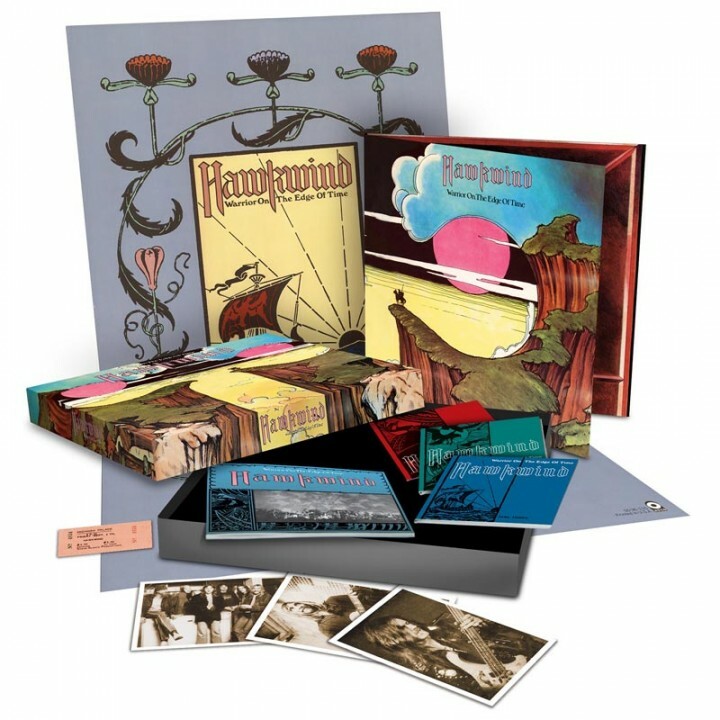 A strictly limited collector’s edition boxed set of the remastered version of Hawkwind’s classic 1975 album! SKU: 0578. Categories: Audio CD, Box Set, DVD, Purple Pyramid, Rock, Rock, Rock, Vinyl. Featuring the remastered version made from the original analogue master tapes PLUS 8 bonus tracks, five previously unreleased! DISC 2 features a new stereo mix by Porcupine Tree founder Steven Wilson made from the multi-track master tapes PLUS 5 bonus tracks, two previously unreleased! DVD features a new 5.1 surround mix by Steven Wilson and a 24 bit flat transfer of the original 1975 stereo master tapes! Clamshell box packaging includes booklet with photos, memorabilia and essay!